We love space and these are our dreamy space jams. It's hard to follow up this month's mixes made by Chris Kelly of Teen Mom, Ian Stanley of Cactus-Mouth, and The Coven, but I will try. Past mixes have included a wide spectrum of genres – Teen Mom brought us back to the 90s, Cactus-Mouth compiled our heaviest mix yet, and The Coven helped us appreciate the classics. However, this week I wanted to make a mix that wasn't like anything we've had on the site before. "Dreamy Space" is loosely inspired by the universe, moon rocks, constellations, galaxy-like-things. All ten songs are contemporary; many include cool synth noises, dreamy drum machines, dark dance vibes, an experimental touch. The artists included are those we've reviewed recently: Skinny Reptile Youth, Nima, Tashaki Miyaki, White Poppy, KEEL HER, and MoonLasso. But also artists that we've had our eye on for a while: Sparxx, CRUX, White Ring, and Nite Jewel. 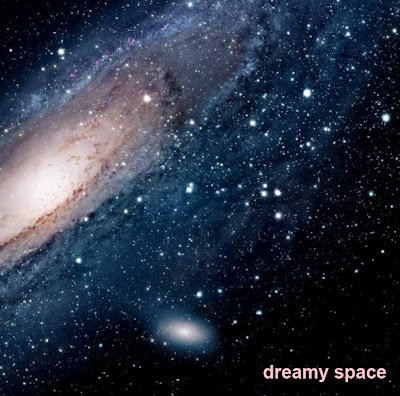 Dreamy Space from thelesigh on 8tracks Radio.